The Texas Hill Country is a gem brimming with breathtaking scenery, unique shops, vineyards and breweries, and incredible food. You’ll find the types of cuisine you’d expect from Texas: Tex-Mex, smoky BBQ, German-inspired dishes, Southern comfort food, you name it, you can find it here. 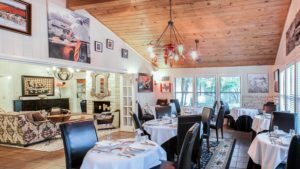 To make sure that you don’t miss out on any of the fantastic places, we have compiled a list of some of the best restaurants in Wimberley, TX. Take a look and discover some of the best food you’ve ever eaten! Technically a 10-minute drive from Wimberley, Hays City Store is a fantastic sports bar with more than 52 different beers on tap as well as a wide selection of wines and a full selection of liquor. The food is incredible whether you get onion rings, a burger, or a frito pie. The atmosphere is fun and unique, thanks to a combination of factors. The building has been around since the early 80s when Hays City Store opened as a gas station and convenience store, live music is often playing, and there is a lovely outdoor area shaded by large oak trees. You can expect a friendly welcome when you come in, but don’t come here if you are in a rush! Since it is such a fun place to spend a few hours, Hays City Store can get pretty busy sometimes. 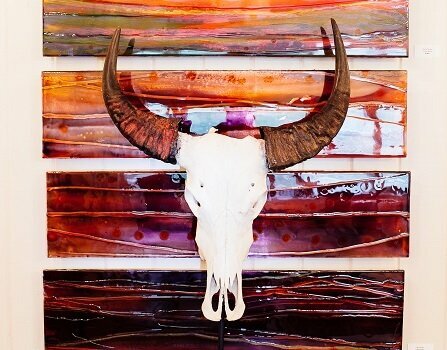 Stop by Ino’z Brew and Chew in Wimberley for quality food and friendly service. It is a good restaurant to visit rain or shine as it offers both indoor and outdoor seating, but keep in mind that it can get busy sometimes! Outside, you will enjoy fantastic views of Cypress Creek as you sit under the sweeping oak and cypress trees, and there’s often live music on the deck. Jobell Café and Bistro is a gorgeous restaurant that serves delicious, French-inspired bistro fare. You can expect a sophisticated atmosphere and a sophisticated menu, though the atmosphere is still very warm and relaxing. This intimate spot is a great option for a romantic dinner! You’d be hard-pressed to find a better restaurant in Wimberley. The food is fresh and delicious, and the craft beer and wine pairs excellently with it. The back patio overlooks the stunning Cypress Creek and lovely Hill Country landscape. The Leaning Pear offers New American fare served in beautiful surroundings, whether you are inside or outside. If you’re not sure what to try, many people come for the top-notch pizza. Enjoy flavorful Tex-Mex cuisine at Milagro’s Hill Country! The food is always fresh and tasty, and the restaurant has a relaxed, Hill Country atmosphere. Items on the menu are reasonably priced, and there are a lot of unique cocktails available, including the Mexican Martini and the Fire and Ice, which features Habanero infused tequila. If you are willing to make a drive out of Wimberley, Trattoria Lisina is worth the 20-minute trip. Experience fine dining in a beautiful, rustic setting at this Italian-style restaurant. You’ll feel like you’re in Italy as Trattoria Lisina is nestled on the lovely grounds of Duchman Winery (formerly Mandola Estate & Vineyard). If you are looking to have a special dinner out on the town, Trattoria Lisina is the place to go. The Wimberley Café is in a great location in the square, which is the heart of Wimberley and could be considered its downtown area. It is a fantastic option for breakfast or lunch any day of the week, as afterward you can stroll around and browse the unique shops that are nearby. The Wimberley Café also serves delicious dinner options on Friday and Saturday. You can expect to find excellent food and excellent service at this local favorite. After a day of enjoying some of the finest cuisine in Wimberley, return to the Blair House Inn to relax in the finest lodgings in town. Not only will you discover an elegant, Hill Country retreat, but gourmands will be delighted to learn that we also offer a top-notch cooking school. 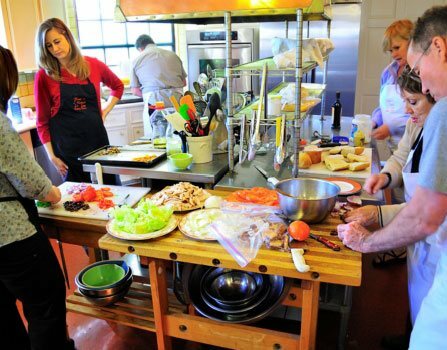 For an immersive culinary experience, book a three-day class! 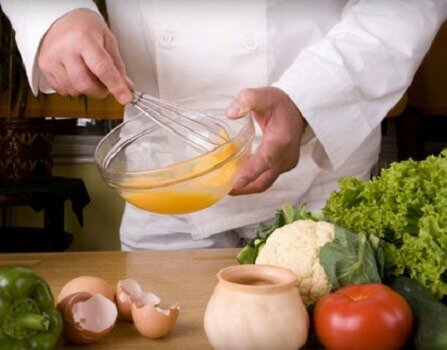 Over the course of three weekdays, you’ll learn and practice skills that will build your confidence in the kitchen. If you are planning to travel on the weekend, we also offer a two-day course. The Blair House Inn offers incredible cuisine beyond its cooking school. As a guest of our inn, you’ll begin each day with a carefully prepared, fresh gourmet breakfast. On weekday evenings, we bring a homemade dessert and complimentary beverage to your accommodations. Plus, you can enjoy fine dining without having to step foot off our property when you attend one of our Saturday evening dinners! This is just a glimpse into what your experience could be like during your stay at the Blair House Inn. 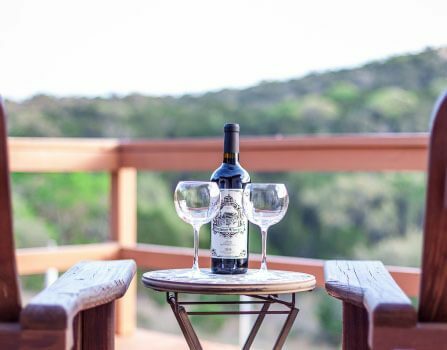 Be sure to browse all our luxurious accommodations and book your stay in the stunning Texas Hill Country today! Do you want to surprise someone special? Consider getting a Blair House Inn gift certificate! Whether you choose a relaxing spa treatment or a certificate that goes toward a room, it’s the perfect gift for everyone. How to Have the Best Girls Getaway in Texas Hill Country — Where is the Best Texas Hill Country Hiking?